A very useful sign for open tops travel specially in areas with unexpected changes in weather conditions. Just about 45 minutes before this photogragh taken clouds were closed in and most parts of the area were covered in mist. According to comments in a hut book, some people/a few groups had made mistakes here taking a wrong ridge. Dztramping I think it would do the job. It survived after gale force and rain taken place on the day before. 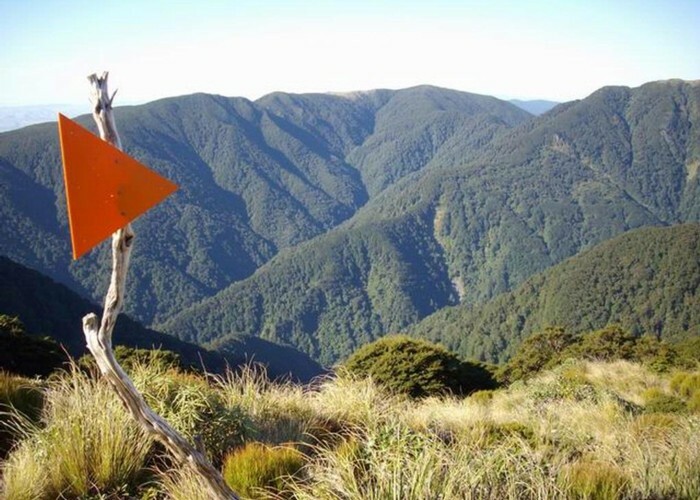 It is located near Maungahuka junction (about 45 minutes from Maugahuka Hut) showing the way down to Concertina Knob, and then Neill Forks Hut. 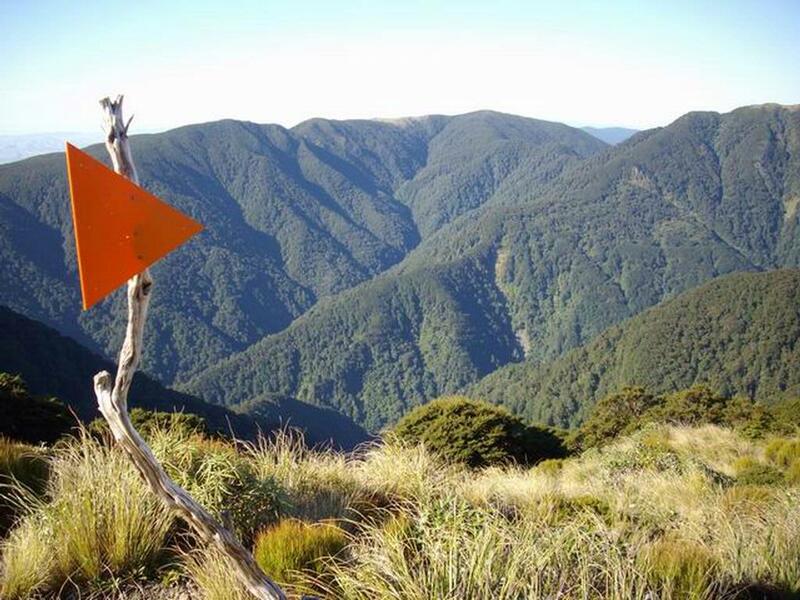 It is not far from Tunui & Tuiti (Tararua Peaks), where there is a chain ladder. Magoo Yes, these are very useful. Not sure if this one would last in a howling gale though! Looks a bit "temporary" to me. Where is this marker out of interest? Added 4 May 2008 by DztrampingDztramping. 1 revision 4 May 2008 by DztrampingDztramping.